Philadelphia City Councilman William K. Greenlee announced Monday that he will not seek a fourth full term on City Council, opening a second vacancy on the 17-member board. 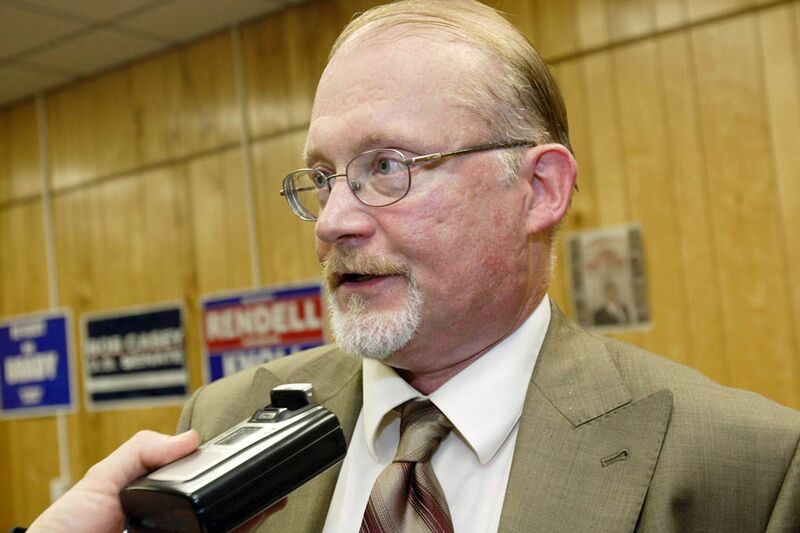 When Greenlee, 65, the majority deputy whip, leaves his seat at the end of the year, he will have 40 years of service with Council — 26 as a staffer to Councilman David Cohen and 14 as a councilman. His announcement comes three weeks after Councilwoman Blondell Reynolds Brown said she would not seek another term. That leaves two of the seven at-large seats up for grabs in a year when dozens of candidates are expected to run. Councilman Bill Greenlee (left) sponsored legislation on salary history. He is shown with Council President Darrell Clarke and Blondell Reynolds Brown. As of Monday, 23 people had registered political action committees with the Board of Ethics for at-large seats. More names are likely to emerge next week, when prospective candidates can start circulating petitions; to run for an at-large seat, candidates must have 1,000 signatures. “Having some new ideas, new blood, is good,” Greenlee said. He will likely have some say in choosing some of those new voices. Greenlee said he plans to remain Democratic leader of the 15th Ward in Fairmount. Greenlee’s announcement comes on the heels of a crushing legislative defeat. His Council colleagues last week killed a proposal he sponsored that would have forced pharmaceutical companies to register with the city and track their gifts to doctors. Greenlee intended for the bill to address in part the city’s opioid epidemic. Greenlee grew up in Philadelphia and graduated from St. Joseph’s Preparatory School and Temple University. He worked on Cohen’s campaign for Council right out of college and joined his office in City Hall. When Cohen died in 2005, Greenlee won his seat in a special election. He then was elected three times to a full term. Greenlee has been one of Council’s more progressive voices, championing paid sick leave, wage equity, and wage theft laws among those he backed. On Monday, he said the paid sick leave legislation, which requires employers with at least 10 employees to offer the benefit, is the one of which he is proudest. “It’s something that affected a lot of people in a positive way,” he said.